SAN FRANCISCO – The Giants found the outfielder they were looking for this winter, acquiring Andrew McCutchen from Pittsburgh on Monday to fill a key void. San Francisco parted with right-hander Kyle Crick, minor league outfielder Bryan Reynolds and $500,000 in international signing bonus allocation. 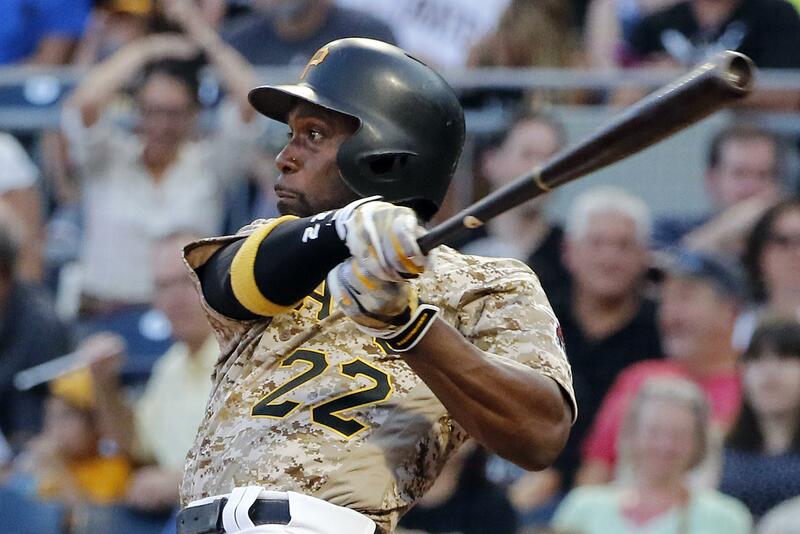 The Pirates also sent $2.5 million to the Giants to cover part of McCutchen’s $14.75 million salary. The 31-year-old McCutchen, a former NL MVP and long the face of the Pirates’ franchise, became the second star jettisoned by Pittsburgh in three days. Ace Gerrit Cole was traded to Houston on Saturday. “Andrew helped create so many special memories both on and off the field for me, our organization and our fans. He did so while always carrying himself with humility, dignity and grace,” he said. Pittsburgh ended a two-decade postseason drought in 2013 and made three straight playoff appearances before falling to 78-83 in 2016 and 75-87 last year. McCutchen, the 2013 NL MVP, may take over in center from Denard Span, who was traded to the Rays in the Longoria deal, or he could slide to an outfield corner. San Francisco wanted more production from the outfield after a last-place season in the NL West. The durable McCutchen has played at least 153 games in each of the past three seasons for the Pirates, batting .279 with 28 home runs and 88 RBIs in 156 games in 2017. But he has not been an All-Star since 2015, when he was selected for the fifth straight season. McCutchen is entering the final season of a six-year, $51.5 million contract he signed in March of 2012, a deal that turned into a bargain as he became a star and powered Pittsburgh’s turnaround. Pittsburgh never made it past the division series and the club has fallen well back of St. Louis and the Chicago Cubs in the competitive NL Central the last two seasons. The Pirates began an overhaul when they traded Cole to Houston on Saturday for pitchers Joe Musgrove and Michael Feliz, third baseman Colin Moran and outfielder Jason Martin. “Watching Andrew patrol center field with grace, fly around the bases, drive the ball all around the ballpark, celebrate with his teammates or interact with his family, friends or fans has created lifelong memories,” Pirates general manager Neal Huntington said. McCutchen’s exit leaves the Pirates without a marquee player, something he’s been since the moment he made his major league debut on June 4, 2009. His arrival signaled Pittsburgh’s readiness to emerge from two decades of mediocrity. McCutchen was an All-Star by 2011, a charismatic presence in the clubhouse, one who was beloved by a fan base that he helped reconnect with the game. Now he’s off to San Francisco, which at 64-98 stumbled to its worst record since 1985. Crick, 25, had a 3.06 ERA, 28 strikeouts in 32 1/3 innings and a .191 opponents’ batting average last year in his first big league season, allowing three of 21 inherited runners to score. “Kyle Crick is a physical, major league-ready right-handed reliever who brings a high-velocity, live fastball complimented by a quality slider to potentially pitch in a late inning role for the Pirates,” Huntington said. Reynolds, a 22-year-old switch-hitter, batted .312 with 26 doubles, nine triples, 10 homers and 63 RBIs as Class A San Jose. He was a second-round pick in 2016. Published: Jan. 15, 2018, 7:14 p.m. Updated: Jan. 15, 2018, 10:56 p.m.